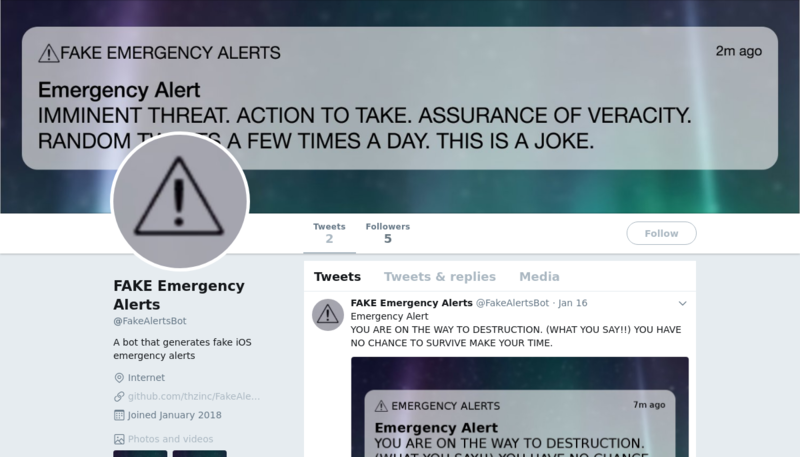 IMMINENT THREAT. 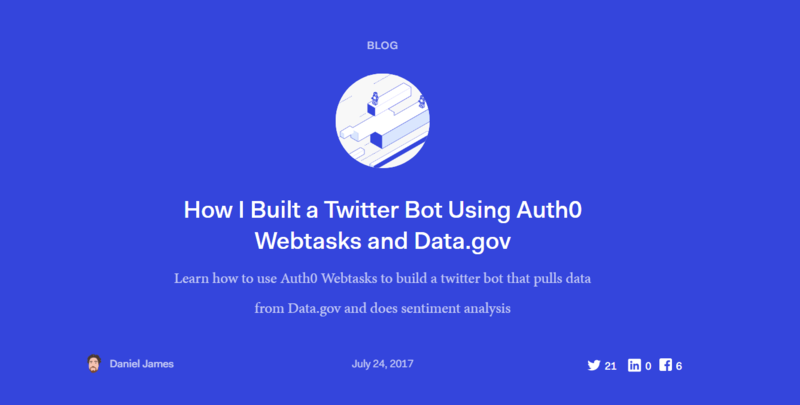 ACTION TO TAKE. 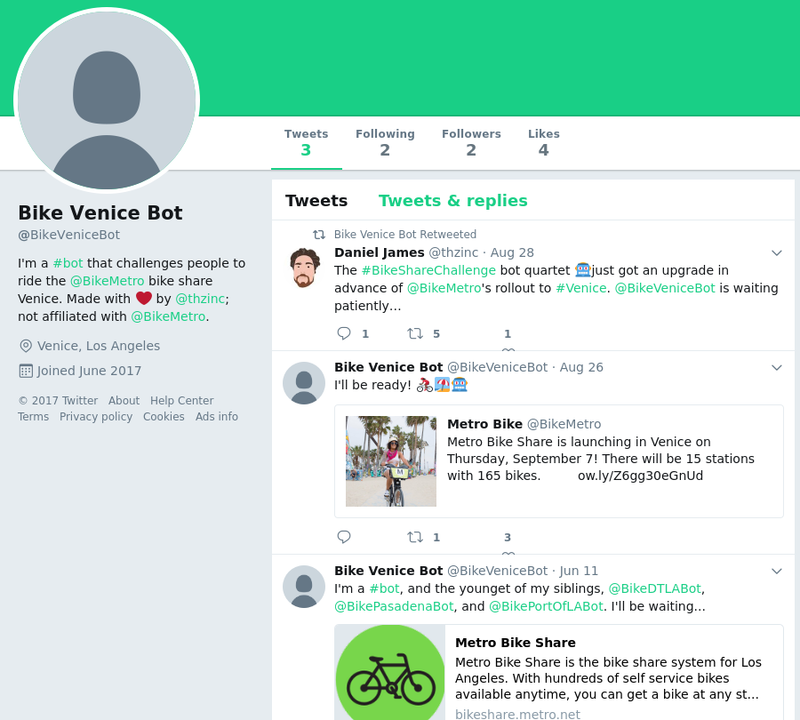 I'm a #bot that challenges people to ride the @BikeMetro bike share Venice. 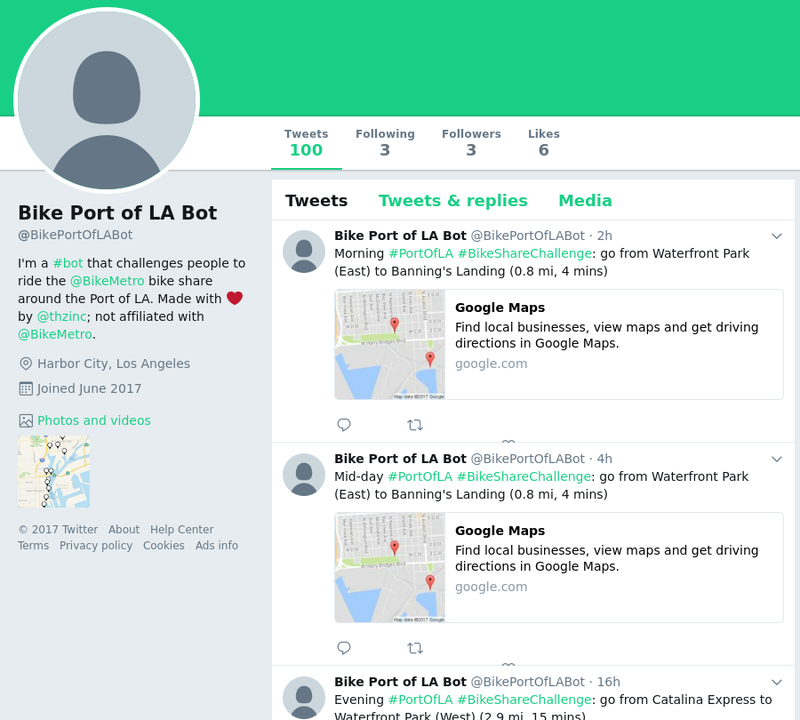 I'm a #bot that challenges people to ride the @BikeMetro bike share around the Port of LA. 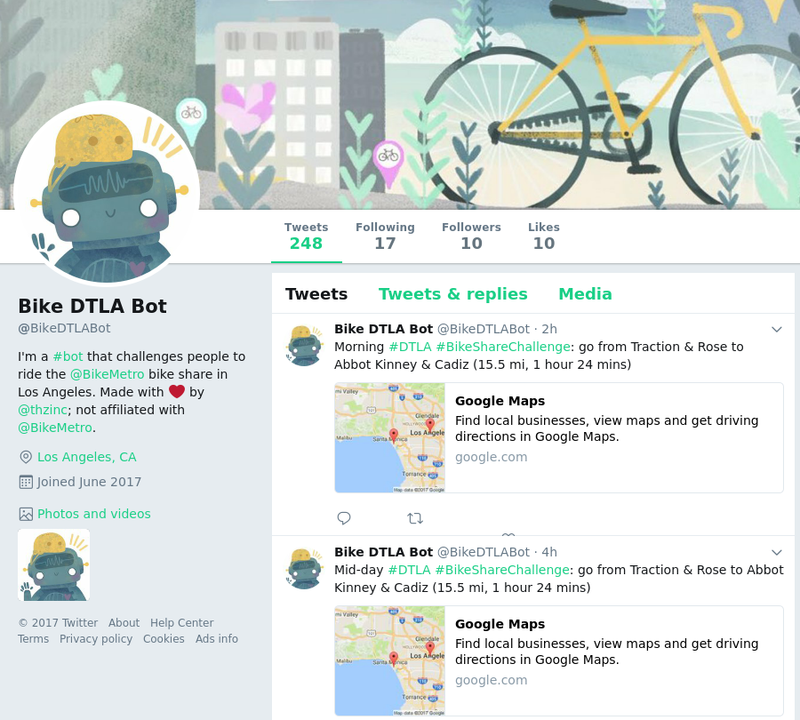 I'm a #bot that challenges people to ride the @BikeMetro bike share in Los Angeles. 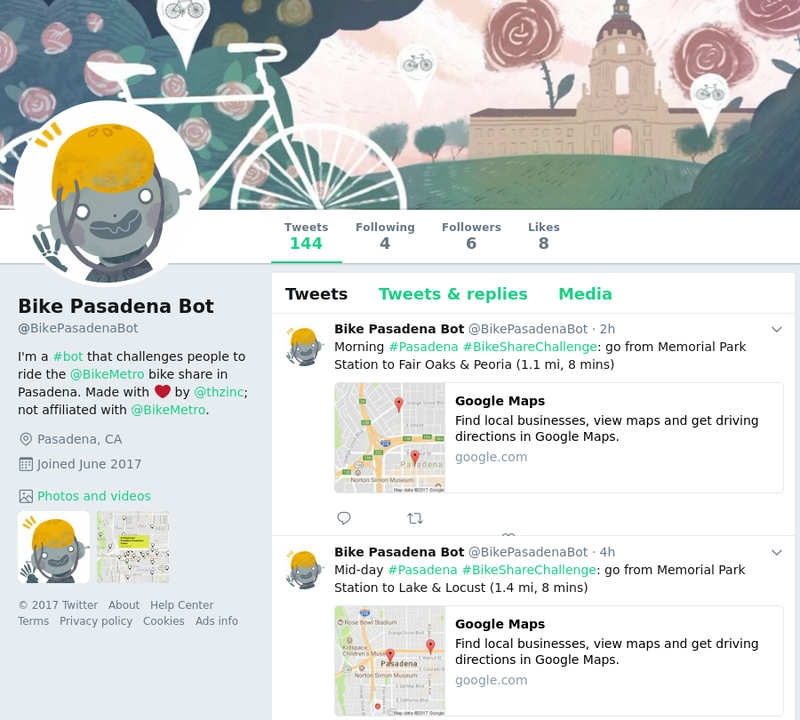 I'm a #bot that challenges people to ride the @BikeMetro bike share in Pasadena.